GC32 Class video published on May 27, 2018: On Lake Garda, the Schneiter family’s Team Tilt, managed by father Alex and steered by Olympic 49er sailor son Sébastien, was crowned first ever GC32 World Champion. Apart from a brief falter in the final race, the Swiss team over the last three days never finished a race lower than fourth, despite tricky conditions, a variety of race courses and wind strengths that Lake Garda threw at the 13 teams. The Riva del Garda event is the first official GC32 World Championship, featuring the combined foiling catamaran fleets of the GC32 Racing Tour and Extreme Sailing Series. More info at www.gc32worlds.com. Extreme Sailing Series video above published Mar 20, 2018 -- 7 GC32 crews -- 8 Flying Phantoms -- 30 knot speeds -- 4 days of epic racing. Extreme Sailing Series: GC32 World Championship - Riva del Garda, Italy, 24-27 May 2018 - The GC32 World Championship saw the Extreme Sailing Series™ and GC32 Racing Tour fleets combine and provided the second scoring stage of the 2018 Extreme Sailing Series. Volvo Ocean Race video above published on May 29, 2018. See also Volvo Ocean Race Leg 9, Newport USA to Cardiff UK, LIVE Feed. Volvo Ocean Race video published May 29, 2018: After a crucial double points leg, the welcome to Wales was one to remember! Go behind-the-scenes of the top 3 podium place arrivals on Leg 9 into Cardiff. Volvo Ocean Race video published May 27, 2018. Congrats to Quantum Racing, Platoon Sailing Team and Sled for the 1-2-3. Next up: Zadar in 22 days. 52SuperSeries video above published May 27, 2018: Beautiful images from the penultimate day of racing at Sibenik 52 SUPER SERIES Sailing Week. See also day 3 video, day 2 video, day 1 video, and LunaRossaTP52 video here. Sibenik 52 SUPER SERIES Sailing Week, Sibenik, Croatia. Teams: Alegre, Azzurra, Bronenosec Gazprom, Gladiator, Luna Rossa, Onda, Paprec Recyclage, Phoenix, Platoon, Provezza, Quantum Racing, Sled, Xio Hurakan. Unlike handicap racing, the 52 SUPER SERIES races are on a simple first-past-the-post format, real time racing with no post-race time compensation. Owners and crews love the high speeds, the exceptional power to weight ratio, the dinghy-like feel on the helm and the need to pursue small incremental advantages to win races. It truly remains a unique proposition within the sport of sailing. The 52 SUPER SERIES is the best monohull racing in the world. LIVE Tracker Volvo Ocean Race Leg 9, 29 May 2018 02:39UTC: Team Brunel crosses the Leg 9 finish first, then Team AkzoNobel second. Volvo Ocean Race video above published May 28, 2018. See the prior Volvo Ocean Race 'Daily Live' videos here. Volvo Ocean Race video above published May 20, 2018. Volvo Ocean Race 2017-18, Leg 9, Newport to Cardiff, 3300 nautical miles, started 20 May 2018, 18:00 UTC (14:00 Newport 2pm EDT). See also Leg 9 start full replay video and in 155 seconds video, as well as Leg 9 Start Press Conference. Hyères hosted 647 sailors from 46 nations from 22-29 April for the Final Round of the World Cup Series. Qualification spots for the Marseille Final were up for grabs in the ten Olympic and one Para World Sailing event. World Sailing TV video published on May 2, 2018. Volvo Ocean Race Newport RI 2018 with Brad Read of Sail Newport (domain: sailnewport.org). Newport Living & Lifestyles video above published May 8, 2018: Champion Sailor and executive director Brad Read of Sail Newport speaks on the impact of the Volvo Ocean Race and VOR Village at Fort Adams State Park in Newport Rhode Island. Through VOR’s nine month journey with the world’s toughest sailors from around the world, Newport Rhode Island is directly impacting children’s interest in sailing, the RI economy, Earth conservationists and the sailing community as a whole. Newport, Rhode Island, for many years, was home to the series of yacht races for the America's Cup. The waters off Newport have been a key sailing venue for the New York Yacht Club (NYYC) since the beginning of its history. In addition to its Manhattan headquarters, located inland, the NYYC maintains "Harbour Court", a clubhouse opened in 1988 on the water in Newport. 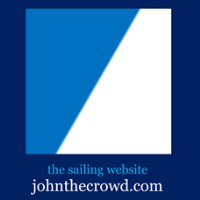 New York Yacht Club video above published on May 15, 2018: "Whether it's the tradition and history of the 164th Annual Regatta, the pure competition of the One-Design Regatta or the pageantry of Race Week at Newport (Rhode Island) presented by Rolex, the New York Yacht Club is hosting an event for you this summer. Sign-up now and set your sights on Newport, and the podium." Volvo Ocean Race video published May 10, 2018: Here's a look behind-the-scenes of the Volvo Ocean Race Newport Opening Ceremony. If you're in Newport, Rhode Island, don't miss the fun – head down to Fort Adams State Park 8-20 May! Volvo Ocean Race video above published May 11, 2018: The finish of leg 8, in the 2017-18 Volvo Ocean Race came right down to the wire. After 15 days and 5,600 miles of intense ocean racing the fleet faced thick fog and light wind on the finish line. RC44 Class Association video above published May 13, 2018: At the RC44 Portoroz Cup, it all came down to the final top mark rounding of the final race: Team CEEREF of local host Igor Lah picked up a penalty and, having to complete a mandatory turn, dropped her to last place. Meanwhile a second place in this race for Team Aqua allowed Chris Bake’s team to clinch victory overall by just one point from Team CEEREF on this Slovenian stop of the 2018 RC44 circuit, despite their having come last in today’s first two races. In fact the top four boats all finished within two points here, with Aleph Racing and Peninsula Petroleum putting in strong final day performances leaving them tied on points in third and fourth respectively. See all the 2018 RC44 Championship Tour videos. RC44 Class Association video above published May 13, 2018: Piran Bay laid on a week of light, bright, flat water racing conditions for the second round of the 2018 RC44 Championship Tour putting a premium on crew work and boat handling fitness. Racing commenced on Thursday, May 10 (Wednesday, May 9, is for practice), and continued through Sunday, May 13. The RC44 Championship Tour brings together the worlds of sailing and business, allowing amateur owner drivers to race, high performance one-design yachts, with some of the world’s elite sailors, competing at some of the most beautiful and diverse sailing venues around the world, participants include a who’s who of sailing’s greatest achievers, from America’s Cup legends to Olympic champions.